The tradition of the pig roast goes back millennia and is found in many cultures. 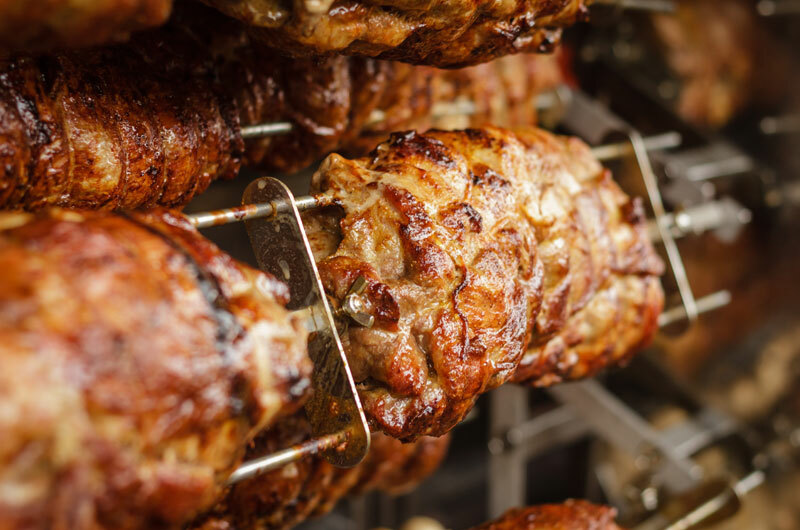 There are numerous ways to roast pork, including open fire rotisserie style roasting, and "caja china" style box grilling. Many families traditionally have a pig roast for Thanksgiving or Christmas. In Miami and other areas with large Cuban, Puerto Rican, Honduran or other Caribbean populations pig roasts are often held on Christmas Eve by families and friends whereas families from Hawaii often hold a roast on memorial day. A hog/pig, often around 80-120 pounds dressed weight, is split in half and spread onto a large charcoal or propane grill. The styles of grills used are as varied as the methods of producing them, some being homemade while others are custom made. 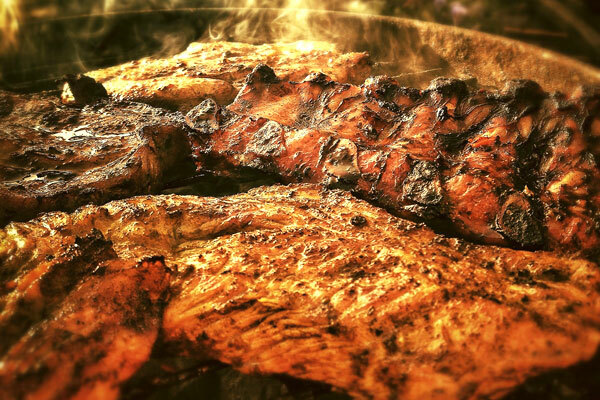 In Puerto Rico, pig roast is prepared in adobo mojado (wet seasoning) containing crushed garlic, black pepper, salt, orégano brujo, olive oil, and wine vinegar.